An attractive ring fenced arable and poultry farm occupying a private and idyllic position on the edge of a popular North Oxford village. For sale as a whole or in two lots. In all about 420 acres. Lot 1 - an attractive ring fenced arable and poultry farm occupying a private and idyllic position on the edge of a popular North Oxfordshire village. In all approximately 278 acres of arable and pasture land with some woodland. 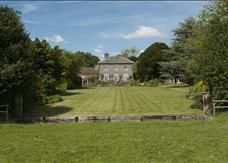 Substantial unlisted family house in a truly magnificent location with beautiful views. Ideal development opportunity to acquire, along with the main house, a substantial barn with planning permission to convert set in approximately 14 acres. Energy Rating G.